GRAB ALL THE VIDEOS AND TASKS FROM THE 5 DAY EVENT FREE HERE until 3pm Sydney on ​​Wednesday 14th February (Midnight EST ​Tuesday 13th). In today's video we find out our UNIQUE way our ​guidance speaks to us. I take you through a practical exercise to meet your ​guidance that you can use over and over to communicate with it. I answer the most common questions people have about ​knowing what to look for when deepening their relationship with their intuition. Get clear once and for all on the difference between your ​INNER VOICE and your EGO. This is the biggest sticking point when it comes to trusting your intuition. We feel into it together so that you can really understand it at a deeper level. A powerful intention-based Mantra will ​supercharge your connection to your guidance. Craft your Mantra in 3 easy steps and watch as your intuition starts to show up more and more (and how other things shift in your life. How many times have you followed your intuition and had miraculous outcomes? How many times have you NOT listened and had something go pear-shaped? We revisit those times today and collect EVIDENCE to help our ego/ monkey mind realise that our intuition is safe and trustworthy. SEND THOSE LIMITING BELIEFS PACKING! ​In this workshop I sh​are the 3 biggest blocks people experience when deepening their relationship with their guidance, and I walk you through a powerful exercise to shift even the most stubborn blocks (that you can use for ANY limiting belief, anytime). 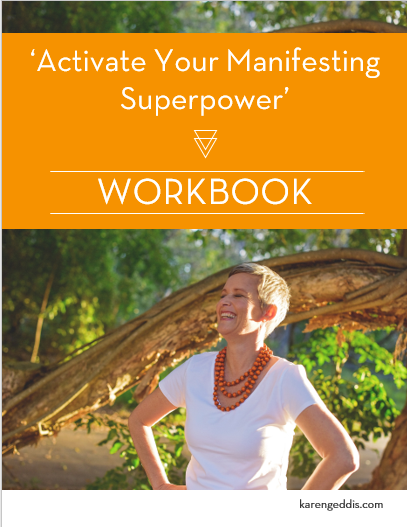 ​​A powerfully transformative, intimate group experience over 12 weeks, the Work (Energetically) Smarter mastermind is like nothing you've experienced. It is the next level for people who are ready to leave their struggle behind and live the life they intended to live when they came to this planet. feeling like there. has. GOT. to. be. another. way. If this is you, let's talk. Book a 15 minute chat with me. I'd love to connect with you. This could be what you've been asking for; what that something deep inside you has been crying out for.